Be prepared for these frequently asked nanny interview questions. These questions explore your nanny skills, experience and competencies. The sample interview answers show you how to prepare responses that impress the potential employer. Whether you are applying for a live-in nanny job or looking for a live-out nanny placement these questions are commonly asked for nanny positions. Generally this will be the first question asked in your nanny job interview. Avoid going into every detail about your life, give only relevant information. as they relate to this particular nanny job. Get as much as information about the nanny job before your interview so that you can make your answers relevant. 2. Why did you choose to become a nanny? 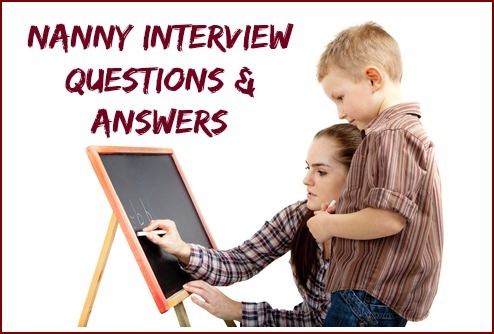 Your answer to these type of nanny interview questions should show a sincere love and interest of children. Your commitment is essential to an employer. 3. What childcare qualifications do you have? Other than formal qualifications most parents are looking for a nanny with successful experience in childcare. Even if you do not have actual formal nanny experience, parents may be keen to hire you if you have significant childcare experience, either in your own family, or at a previous job where you worked with children such as a teacher or daycare employee. 4. What do you think is the most important aspect of a nanny job? "My experience as a nanny has shown me that there are a number of essential aspects......". 5. What do you consider to be the qualities that children like and respond to in you? 6. What did you enjoy most about your previous nanny jobs? Your answer should focus on your relationships with the children and family and the rewards inherent in that. The children are the reason you are there and children are why you chose to be a nanny! Provide specific examples of the success and rewards of the relationship. 7. What did you dislike about your previous nanny job? Describe what you have learned from the experience. 8. What sort of activities did you do with the children in your care? List the activities and then expand on why you chose these particular activities and how the children responded to them. 9. Why do you think you are well suited to this nanny job? 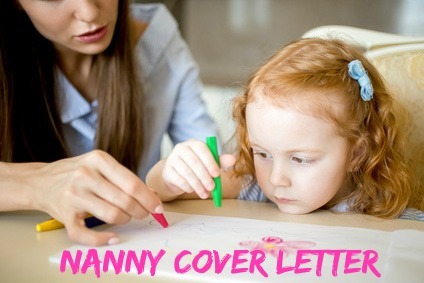 Expect nanny interview questions that explore why you think you are the right nanny job candidate. Each family has different requirements and expectations. A good match is what the employer is looking for. Go beyond this and look at the particular nanny job you are interviewing for. Does it require you to look after a number of children? Then point out your ability to multitask and organize successfully. The job may require a lot of physical interaction with the children, refer to your energy and enthusiasm for this sort of activity. 10. What do you consider to be the major challenges of a nanny job? Probably the biggest challenge in your average nanny job is having to adapt to different people with different needs and requirements in new environments. 11. What are your personal child-rearing philosophies? It is important for your answer to demonstrate a respect for the family's child raising beliefs and values and the ability to be flexible in your child care approach according to this. A rigid personal philosophy can only lead to problems. Focus on how you are constantly learning about child-rearing. What tasks did you have to perform in your previous job aside from childcare? Tell me about a typical day in your previous nanny job? How long have you been driving? What sort of driving were you required to do in your previous position? What sort of food have you prepared for children? How should I prepare for my nanny interview? 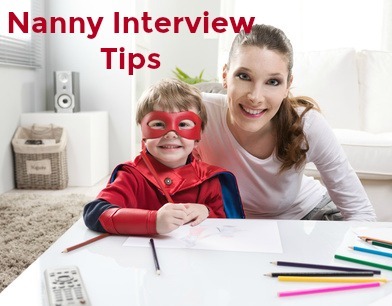 You can use these excellent tips for successful nanny interviews to be sure you are well prepared for you nanny job interview.